The Frager Factor: Silver, Carter, Turkel, Schwartz and Advertising GEO Icon Bruce Turkel: Don't You Want To Be A Blogger Too? Silver, Carter, Turkel, Schwartz and Advertising GEO Icon Bruce Turkel: Don't You Want To Be A Blogger Too? Once upon a time Owen Frager was among the first in the blogging game and I used Rick's board and private lessons to show and encourage others how to do it too. I am very proud of my early students. Many have achieved more fame, passion, audience size and retention, and more financial gains I ever could have imagined, and I am glad to have hand a hand in so many success stories. 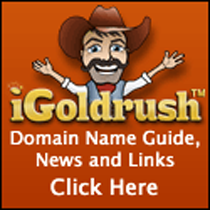 One of those stories, a frequent guest blogger on this page, is a guy you'll remember from by far the #1 most listened to Domain Success Program of all time— "Destination GEO Branding for Convention & Visitors Bureaus" (FREE DOWNLOAD WMV). 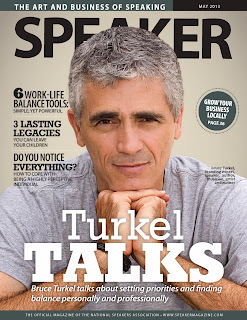 He is Bruce Turkel, founder and executive creative director of the brand management firm, Turkel Brands. Buce has helped create some of the world's most compelling brands including Miami. Bruce has worked with Hasbro, Nike, American Express, Charles Schwab, Citicorp, Discovery Networks, Bacardi, Sol Melia Hotels, Azamara Club Cruises and many more great companies. A captivating speaker and author, Bruce has spoken at MIT, Harvard, TEDx, and hundreds of corporate and industry conferences. Bruce appears regularly on FOX Business and has been on CNN, ABC, CBS, and NPR. He has been featured in The New York Times, Fast Company, Communication Arts, and AdWeek. Now he showcases his own road to blogging riches which used the blog as an entry to public speaking where he now has an incredible 4th career; and spring boarding from that to a fifth career as a fixture on Fox Business News. When I started this blog I promised to be transparent and share my experience with you. My goal has always been to build an active online community to foster relationships and foment opportunities, but to also share the journey with you so you can benefit from my successes and avoid repeating my mistakes. ==> What are the metrics? TurkelTalks has been active since 2007 and has published more than 630 posts. As of last week, 20,167 of you have signed up to receive the posts and thousands more of you read the blog online and repost it on Twitter, Facebook, LinkedIn, and other social media sites. ==> What has TurkelTalks accomplished? This blog has been the most successful new business tool we’ve ever employed, bar none. True, it didn’t happen overnight but now that we’ve established critical mass, the blog has become a treasure trove of invitations and opportunities – the digital goose that continues to lay the golden egg. In fact, it was this blog, read by a senior producer at FOX Business that facilitated my first invitation to be on the network – an opportunity that has resulted in more than a year’s worth of weekly appearances (over 65 at last count). And it’s not just me and my blog that have flourished. Since starting this experiment in social media I’ve counseled at least four other people on their blogs and three of them have also reaped great benefits (the fourth simply doesn’t post often or interestingly enough to move the meter). Because I’ve been asked a lot of questions about what I do and how I do it, I thought it would be productive to answer some of those queries here. Of course, if you have other questions you can fill out the “comments” link at the bottom of this blog and I’ll be happy to answer them for you. ==> What Software Do You Use? I write the posts in Word and then upload them to the ‘net in WordPress. I use Listrak to manage my readership database and distribute the emails directly to you. ==> How Do You Come Up With Ideas? I run. Seriously, I spend most of the 25 or so miles I run each week thinking of blog post ideas. Sometimes I write the text in my head while I’m running even though by the time I get in front of a word processor I’m pretty sure I’ve forgotten the best parts. But there are two ways I can avoid forgetting the good parts. One is to respect the muse enough to sit and write a post whenever the inspiration hits me. To that end I’ve written posts on airplanes, in waiting rooms, and even popped out of bed at three in the morning to capture my ideas. I’ve learned that great ideas are very fragile spirits and if I don’t grab them when they show their sparkly little faces they may never come back. When I’m out running I just repeat my prose over and over again until I get to my car where I can record the ideas on my iPad or my phone. The second way is to always write down partially formed ideas regardless of how good they seem at the time. Right now my Evernote blog file has 12 nascent ideas that might become great posts. Evernote is an incredibly powerful cross-platform app that allows me to record and organize my thoughts on my desktop, laptop, phone, and tablet wherever I am. 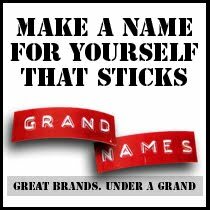 If you’re interested, check out the videos on TheSecretWeapon.org for a foolproof way to organize yourself on Evernote. ==> How Do You Get People To Read Your Posts? Each week I strive for three outcomes from my posts: I want them to be enjoyable, useful, and valuable. I figure if they’re fun and interesting to read and provide you with something you can use, you’ll read them and also pass them on to your families, friends, and online audiences. Because I enjoy writing the posts I try to make them as engaging as possible. And since I believe the most important part of writing is editing, I try to write them with enough lead time to read them over and over and over – and craft them a little tighter on each pass. I’m even editing this post while I’m uploading it into Wordpress. But the most important thing to generate readership (after my relationship with you) is the title. And so I often spend as much time writing the five or seven words of the heading as I do writing the entire post. I’m sure there’s a lot more I could share, so feel free to send your questions. And by all means, consider writing your own blogs. I think you’ll be thrilled by what it will do for you. Guest Post: Geo Advertising Icon Bruce Turkel- "They don't get it. They know they need to, but they don't get it. People don't like to change." Bruce Turkel: "Living and Being Digital"
Comment or browse earlier posts.